Trust us, it’s a style game-changer. Ever flirted with how to make a man bun? Well, we have three questions to ask you. First, is your hair collarbone-length or longer, or are you growing out an undercut? Second, do you want to change up your look without cutting it? And lastly, does your scalp get super oily in hot, humid weather? If you answered yes to all, then you, my friend, are caller number nine and are a perfect candidate for this summer-friendly look. The look is also regaining popularity as the perfect in-between hairstyle, now that dudes everywhere are experimenting with undercuts, i.e. getting them, growing them out, then getting them again. And by the way, please also allow us to holler at how much sexier gym hair has gotten since it hit the scene. So really, the argument for the humble bun is super valid. Still skeptical? 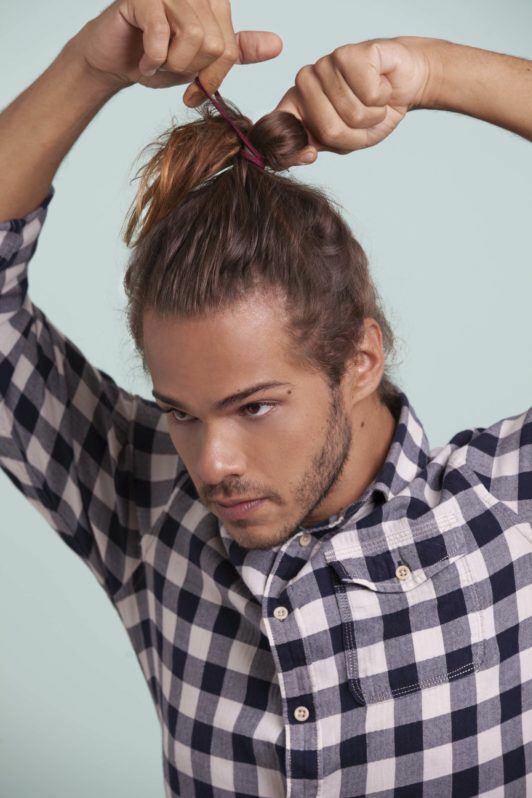 Read on to see how to make a man bun work for a casual, laid-back look. 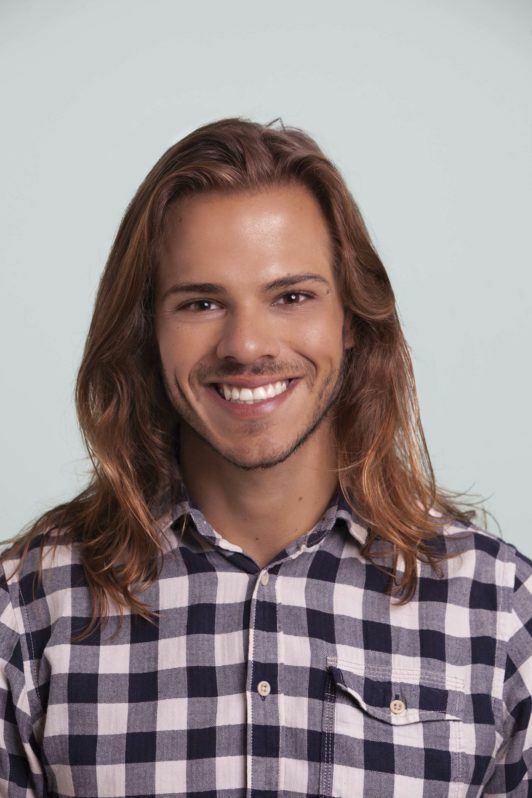 Begin your man bun on washed and dried hair so it has a fresh starting point — not to mention freshly washed hair has more styling traction. 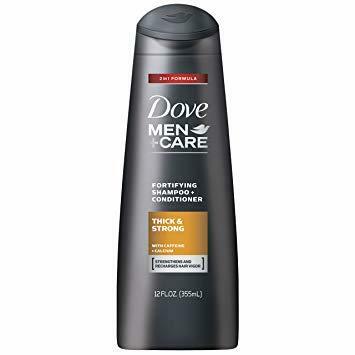 Try Dove Men+Care Thick & Strong Fortifying Shampoo + Conditioner, which has a formula that can help achieve thicker and stronger hair. Use some pomade or wax to smooth out any frizz or flyaways. 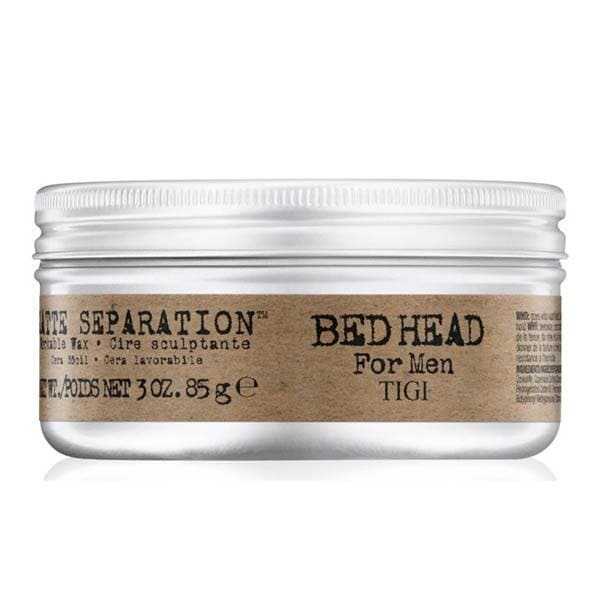 Try Bed Head for Men by TIGI Matte Separation, which works to give you a light hold along with a modern matte finish. 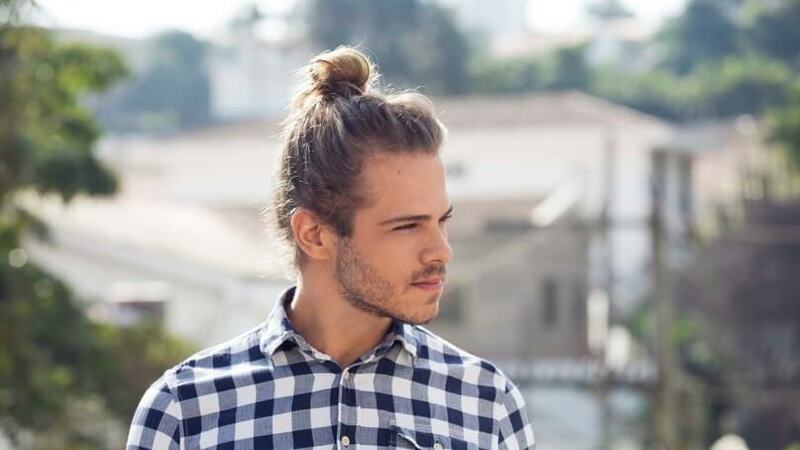 Depending on whether you want a full man bun or half-bun (a.k.a. “hun”), take as much hair as needed. For a half-bun, gather up the top half of hair until just above the ear line. 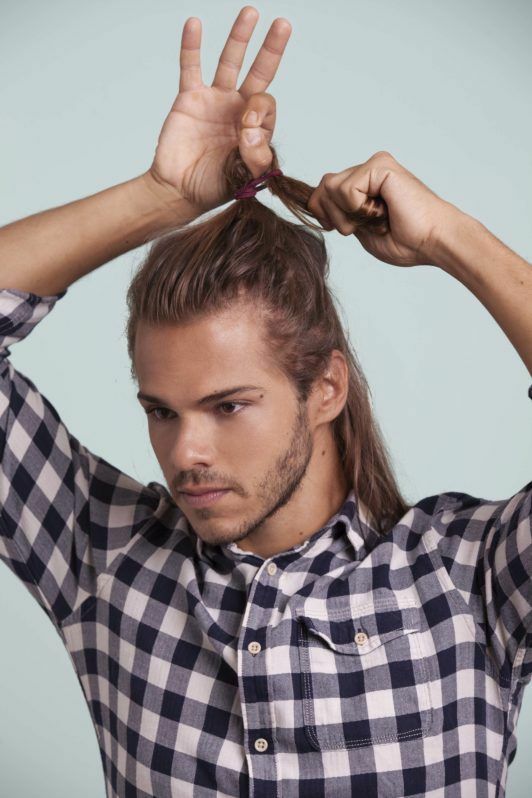 Smoothen up your ponytail (or half-pony, as shown) and hold it in one hand, and hold a hair tie in another. Pull hair through the elastic, ensuring the tie is snug at the base and that your scalp is reasonably smoothed down. 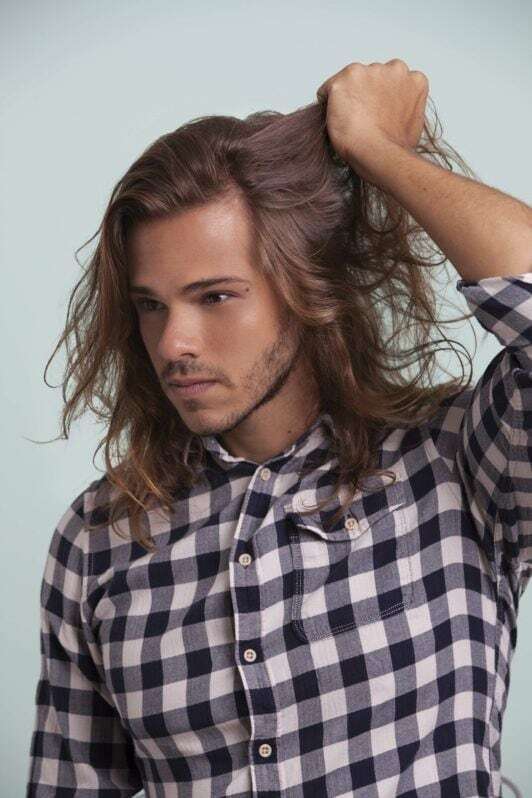 Don’t stress about a few cowlicks and frizz at your hairline; this look is best when slightly messy. Twist the hair tie around your ponytail by making a figure eight, and loop hair through again. Pull it through gently! Continue tying it into a ponytail. Do as many pull-throughs as your hair tie can manage (Tip: It should feel secure, but not too tensioned, as this can feel very tight and uncomfortable on your scalp.). For full updos (as shown), it might take less pull-throughs for your hair tie to tighten. For the last pull-through, don’t take the hair all the way through. Leave the ends tucked into the tie, creating a small, doorknob-like bun. Leave the ends sorta piecey. See? The less precise, the better! Leave your ends a bit piecey for effortless cool. 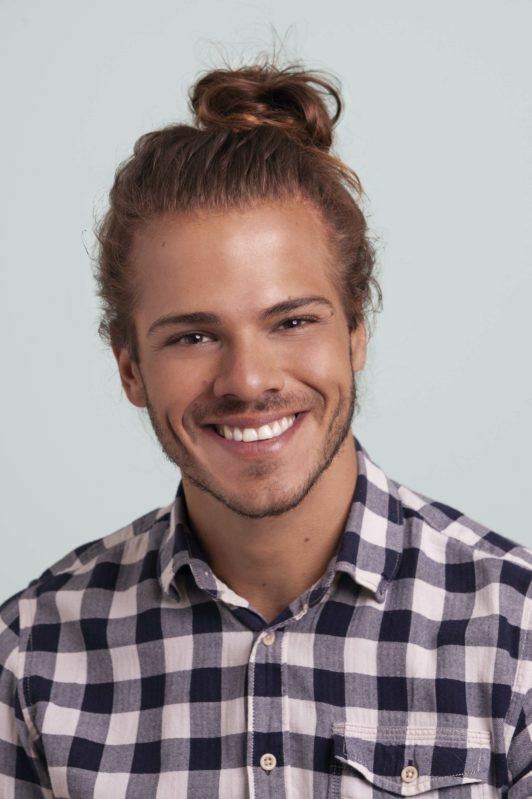 Ed’s note: Longer hair is better off with an actual bun, where hair is coiled around itself and secured with a hair tie at the base. 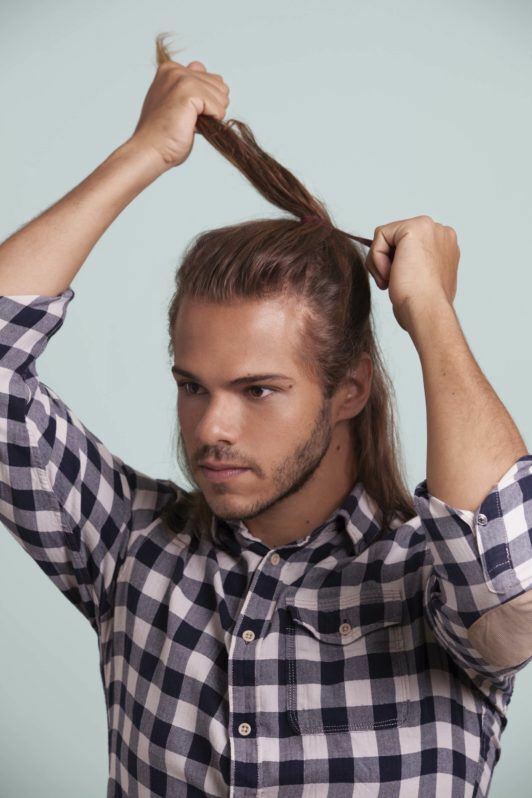 Think of making a circle with your ponytail, and then locking it in. You’re done, son! 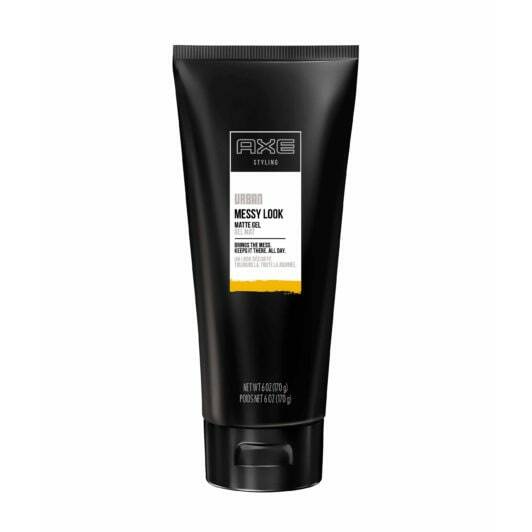 Use some gel like Axe Messy Look: Matte Gel to tame any wayward strands. Balance this new look with some slight facial scruff and a smile. 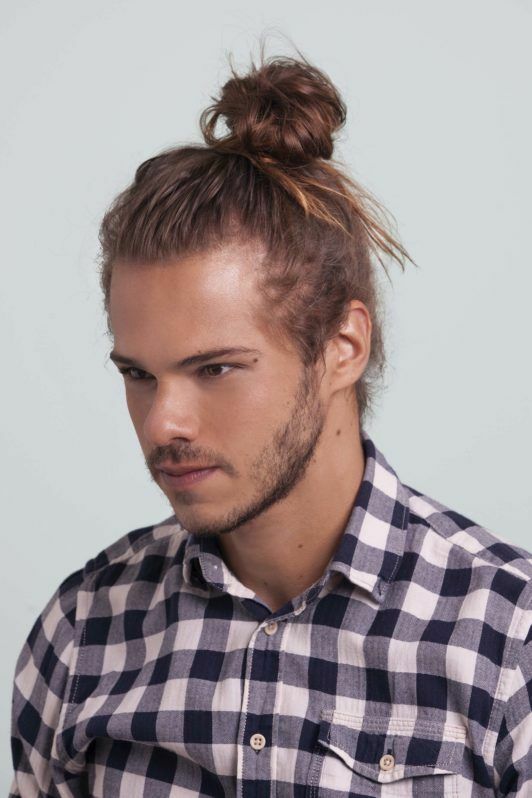 Man Bun Styles to Get In On.